Why they no sell this anymore? I think they used the same one for a Sabrina the Teenage Witch ice cream. 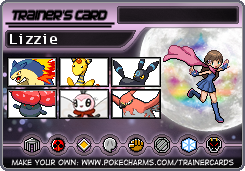 I kinda wish I had appreciated Sailor Moon back then. I never tried these. I was always more interested in Sonic, Mario and Ninja Turtle ones. I never knew they sold this! I wish they still made this. I never had seen any product like that at all. And I started looking for Sailor Moon products to buy for myself soon after the turn of the century - back when they were relatively easy to find! As time wore on after that, I noticed Sailor Moon products becoming more and more scarce, because the supply wasn't increasing at all! I heard from a reliable source that Toei didn't want to bother with international licenses for the anime, the manga, or any products like this at that time at all, and instead focus on selling something else internationally (which I forget now what it was, but I don't think it did all that well). This lasted until about 2012, when I noticed several Sailor Moon wall scrolls in a brick-and-mortar anime & manga store that was near where I lived at the time. I snapped up one copy of each of the designs I liked, not knowing why they were suddenly available at non-astronomical prices, and thus believing that they would disappear quickly. Then about one-half to one full year later, I heard on the internet about the revival of Sailor Moon for its 20th anniversary. And all of you know what has happened since then. BTW, getting back to the product RLinksoul pictured, I probably would never have bought that even if I had seen it, because I don't like bubble gum. But I noticed the small type in the middle of the packaging "Join the Official Sailor Moon Fan Club CALL 1-800-378-LUNA" (when I look at it closely a second time, I notice the 378 part might be 375). I've got to call that phone number tomorrow to see if it still works! Because that's something I'd almost certainly be interested in!!! 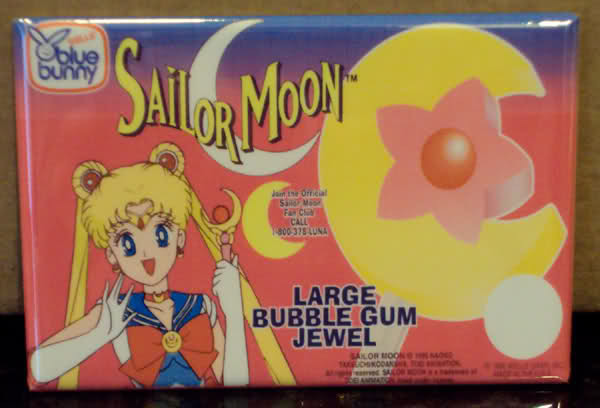 It would be cool if the Sailor Moon ice cream is still being made and being sold in stores. Subject: Re: Why they no sell this anymore?